What Do We Love About... Heroes & Generals? 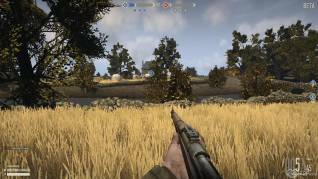 What Do We Love About… Heroes & Generals? We take a look at a game that has been in beta development for a few years now, continuing trying to perfect the title where players can switch between being the Heroes on the battlefield, the men driving tanks, flying planes or manning the trenches as infantry; or the Generals, supplying the frontlines, manoeuvring the army and strategizing over how to win the war. We are of course talking about Heroes & Generals and with our “What Do We Love About…?” article we’re going to show you some of the things that make the game great. Cause and Effect - Heroes affect the war and the war affects the heroes. With this dual concept comes the real time cause and effect where the actions of Generals pushing resources to your active battles directly affects the game the FPS Heroes are playing. Likewise Heroes playing well in the FPS, not using up resources and simply dominating through team work means the Generals have more resources to play with and put elsewhere. The spawning system is particularly well done where Generals will push 65 Infantry into a new town, which will open up a new battle map; it means that the players on that team collectively have 65 Lives available to them that, once depleted, will mean there are no more men available to fight. If a team plays well they don’t need to burn through their resources, if they’re struggling though the Generals can reinforce a battle, effectively giving the FPS Heroes more “Lives” to keep fighting, providing they have the resources and supply chain available to them; a battle lost in real time in a connecting province may mean that the struggling heroes are suddenly cut off and can’t be reinforced. End Game - The War can be won! The War runs for around 3 weeks until the ultimate objective is complete, typically to capture number of cities on the world map, linked together with thousands of towns and villages. The three factions in the game actively fight with one another trying to take these locations; battles at each location triggering an FPS mission. Instead of being an endless battle, using the same FPS style where you’re fighting/playing just for the fun of it, there’s a meaningful and attainable objective at the end, which makes each battle in turn more meaningful, each defeat sting that bit more, and each victory all the sweeter. Walk Before You Can Run - Players can’t join the War until they have earned it. With the ongoing War effort thankfully new players are forced to reach level 5 (which takes quite some time) before they are allowed to join in, prior to that they must play normal unranked games in a more casual mode. What this means is that as winning and losing battles affects a wide number of players in the War, every death is meaningful and so new players running in and dying constantly can have a negative impact on the overall War effort. Unfortunately players can join the War with an Academy Recruit unit, which can be purchased with currency or premium cash, so new players could in fact buy their way straight into the War. Spotting System - Characters aren’t highlighted until spotted. One of the things we really love about the game is that it isn’t instantly obvious where enemies are, names/flags are hidden until they are spotted either by taking a hit or by firing themselves when visible. This means using the natural surroundings for cover and camouflage really works; nestling into an outcrop or among some bushes to get a perfect sniping position. 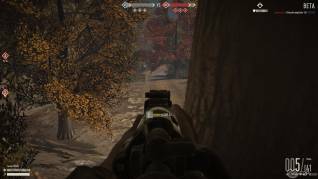 This type of play, combined with the limited respawn resources, means players need to be extra careful about their positioning and going out in the open, thinking you can run quickly down that road to reach the capture objective is sure fire way to get a sniper shot to the head. Vehicles - There are plenty of vehicles to use in battle. 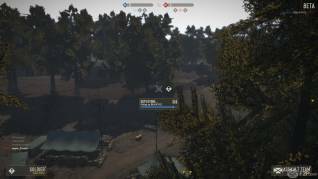 Having jeeps, tanks and planes all in the same battle alongside infantry is extremely fun, particularly players being able to jump in and out of them as passengers to get to and help take or defend the next objective. With mounted machine guns and planes with gunners, vehicles are more than just transport, including bicycles at every starting location that players can jump on to get closer to the frontlines quicker, or simply ride around the battlefield as bullets zip past their heads as they ring their bell. Hilarious. 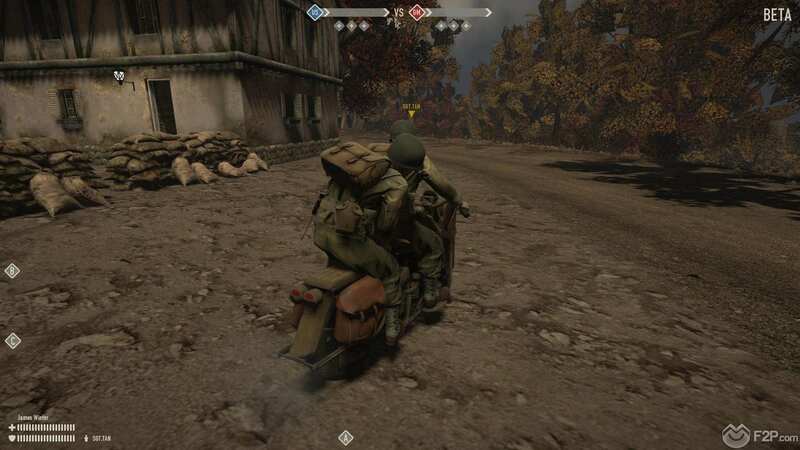 These are some of the things that we love about Heroes & Generals, but what do you think? What do you love about this game? Would you add anything else to the list? We await your opinions! Let us know!!!! !